During a cold winter in Reno, a broken power window can mean a very cold drive for you and your passengers! Power windows can fail out of nowhere. Know what to do when your power windows fail on you. Imagine driving in Reno winter with a broken power window! A driver’s side window that is stuck rolled up can be the biggest hassle when you visit parking garages, drive-up ATMs, or parking garages. A broken power window can be more than just an inconvenience. A broken or permanently open window can also lead to potential break-ins or car theft. Take any valuable belongings with you if you leave your car parked with a window open. If your window is stuck rolled down or the glass is broken in the window, you expose yourself to the elements of extreme cold, heat, and precipitation. You definitely do not want a car window stuck open in the middle of a Reno winter, especially if there is a snow storm that leaves your interior soaked. If you take a car with an open window on the highway, the winds and loud sounds can be distracting and dangerous to you as a driver. When you are having trouble with your power windows, there are a few things you can do to see what can be wrong in order to fix the issue. If your windows will only roll down or up slowly, the issue could be lubrication. Add lubricant to the power window mechanism. If the problem persists, the power window motor may need to be replaced. If you cannot roll the window up or down at all, the problem could be the motor or something as small as the power window switch. A broken power window can be caused by anything from the switch to a cable in the door. You may have more ease in troubleshooting issues with your power window if you remove the door panel. Auto accidents of all sizes and severities can leave you with broken door glass or even a broken windshield. Replacing the door glass can be an ordeal if there is shattered glass in your car and inside the door. Replacing the door glass will require taking off the door panel. Get the proper model of door glass to make sure the door glass will fit your vehicle. Professional windshield replacement is available at Liberty Collision, so let us help you. Liberty Collision can help you get back on the road safely! 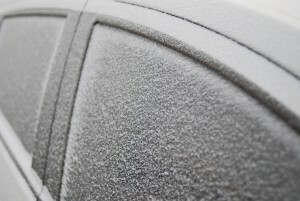 Don’t spend another minute freezing in your car with a broken power window! At Liberty Collision auto body repair shop, we can help you identify the issue with your broken power windows and replace your door glass. Our professional auto body repair technicians can assess the damage to your windows and ensure that you are back on the road driving safely. At Liberty Collision, we also offer towing services and other auto accident repair services. Come to Liberty Collision for any car repairs you need in Reno, from cosmetic car repair to auto accident repair!